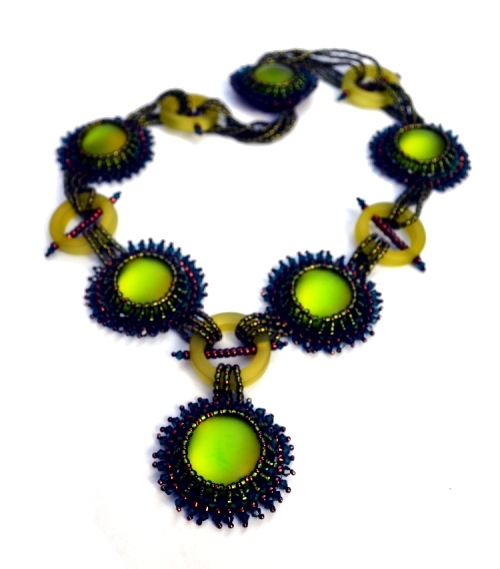 Learn how to combine cabochons, crystals and seed beads united with bead embroidery and bead weaving to create a dramatic yet wearable piece. 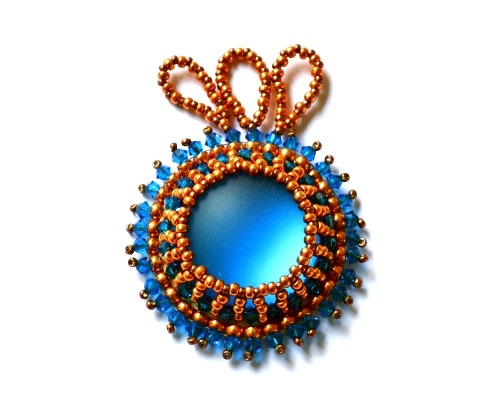 You can make a full Liekulis Necklace or smaller elements which are perfect as pendants or even earrings. 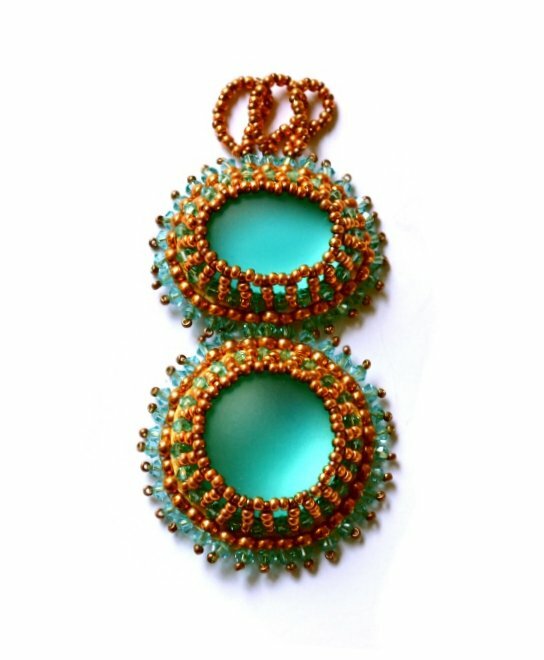 The 12-page instructions included work for any round, square, oval and even uneven cabochon you wish to embellish.